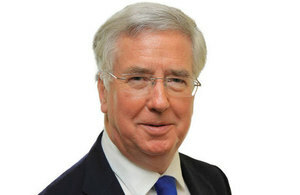 UK military personnel are providing mobile patrolling and surveillance training in Tunisia, the Defence Secretary has announced. A Short Term Training Team of around 20 troops deployed earlier this month to train Tunisian forces responsible for countering illegal cross-border movement from Libya. The training, being delivered by 4th Infantry Brigade, involves both classroom and practical exercises, that will assist the Tunisians to better guard their land borders. With Daesh terrorists determined to target innocent civilians wherever they can, this training will help Tunisian forces to increase their border security. It underlines our commitment to peace and security in the region. UK personnel are training commanders in the 1st Tunisian Brigade, and the current deployment follows on from a previous tranche of border security training with the 1st Tunisian Brigade Headquarters at the end of last year. This initial training was successfully delivered and has built upon the 1st Tunisian Brigade border security capability. Both deployments point to the strengthened Defence relationship between the UK and Tunisia.